The 2019 Toyota Rav4 Is Here. The HV, I assume powered by a Hybrid Powertrain. 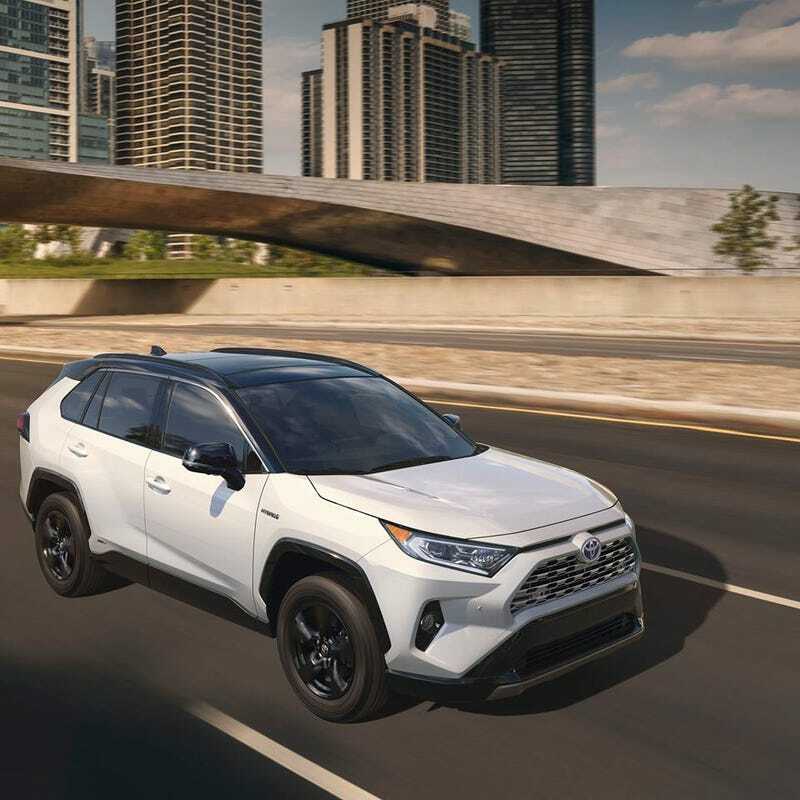 Toyota has revealed an all-new Rav4 for 2019, based on the all new Toyota New Global Architecture Platform, and seemingly designed with influence from one of the most aesthetically pleasing and stylistic animals of nature, the common warthog. No basic details have yet to be released, but Toyota has so far shown off the HV, Limited, and Adventure Grade models. The Adventure Grade seemingly takes influence from the 5th generation 4Runner, which is pretty acceptable in my eyes. The back seemingly takes influence from a number of things, including the current Highlander, Lexus, and a Klingon battle cruiser. The highly superior Adventure Grade model, which is probably just a badge tbh. Coming soon to a school run near you.